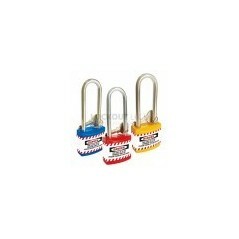 These padlocks have longer shackles for easier attachment to applications, and come in a packet of three. 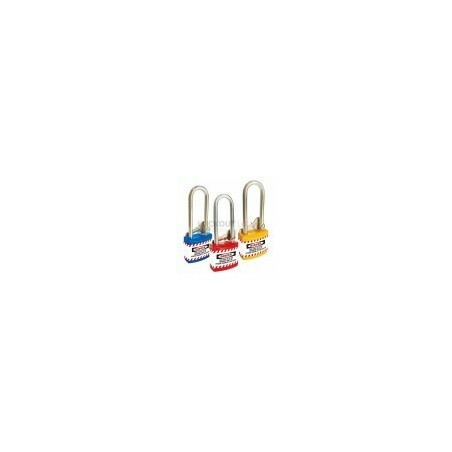 Each padlock is supplied with injection molded non-conductive blue/red and yellow jackets for easy identification. They also come with three keys. By buying this product you can collect up to 500 loyalty points. Your cart will total 500 points that can be converted into a voucher of 0. Interested in customising your locks? We can add additional information, such as your company logo, to bulk orders of these locks. Give us a call on 070033338888 or 08064338888 for more information on lock customisation.